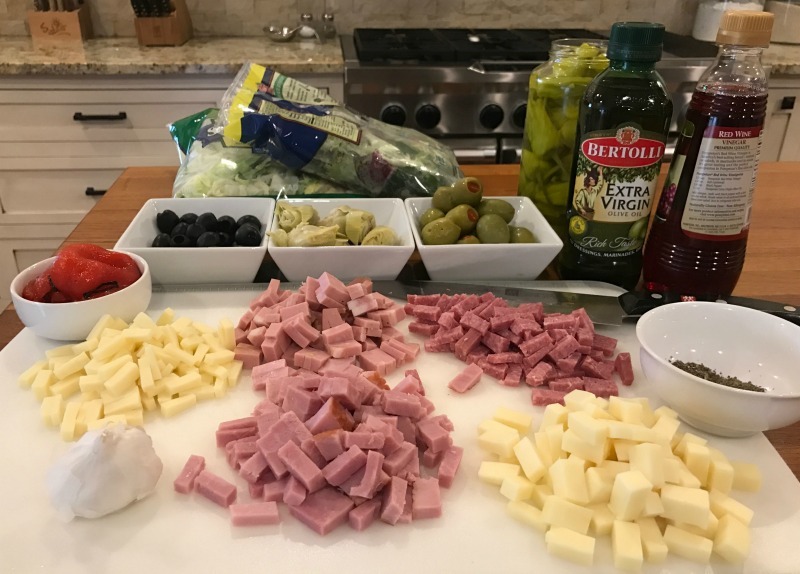 Muffuletta Salad - Easy & Delicious Recipe To Go With The Bertolli® BOGO Sale At Publix! 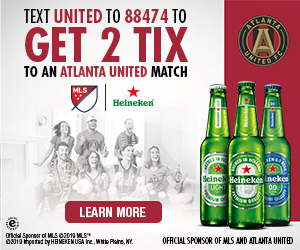 Muffuletta Salad – Easy & Delicious Recipe To Go With The Bertolli® BOGO Sale At Publix! This post is brought to you by the folks at Bertolli®. All comments and opinions are my own. The first day of spring is only a couple of weeks away. I don’t know about you, but I am so ready for warmer days. During the cold months I often crave soups, stews and chili…but when the warm weather starts kicking in, I crave salads and a lighter fare. With the warmer weather, most of us are much more active. It only makes sense that those heavy fall and winter foods move to the back burner. Spring signifies a season of new growth everywhere you look. We start to see vibrant and colorful flowers in the garden as well as some of the tastiest foods arriving in the produce section of the stores. Naturally we want as many of those fresh foods to show up on our plates as possible. What’s better on all those fresh foods than a delicious, homemade dressing? A homemade dressing can be made in a flash and is a healthy option as you know exactly what’s included. I can have a number of delicious vinaigrettes made in under 5 minutes and often for a fraction of the cost of a similar bottled version! Choosing quality ingredients is the first step to a delicious dressing. 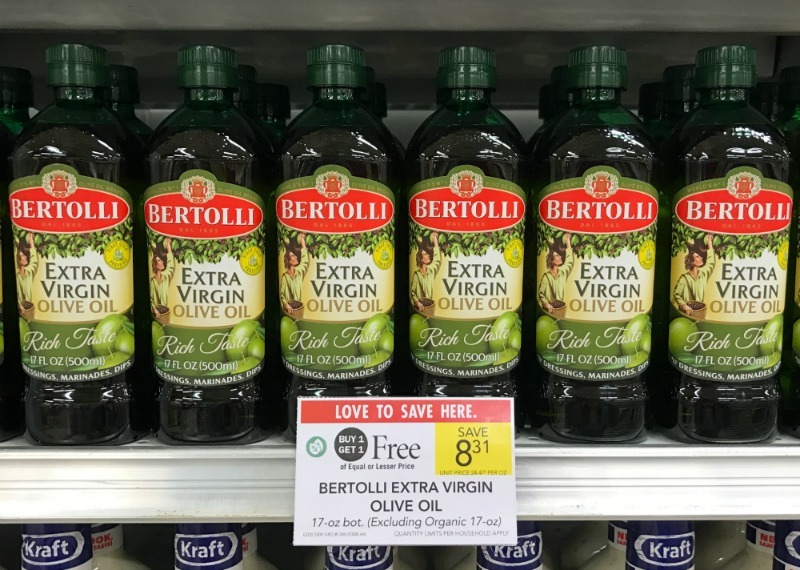 A dressing made with Bertolli® Extra Virgin Olive Oil yields amazing taste plus you get added health benefits. Olive oil is higher in mono-unsaturated fat than any other vegetable oil and dietary fats. Plus it also contributes vitamin E to your diet which is an antioxidant that helps reduce cholesterol. Bertolli®, the World’s #1 olive oil brand follows strict quality procedures to make sure you get the highest quality and enhance the flavor of your favorite recipes. 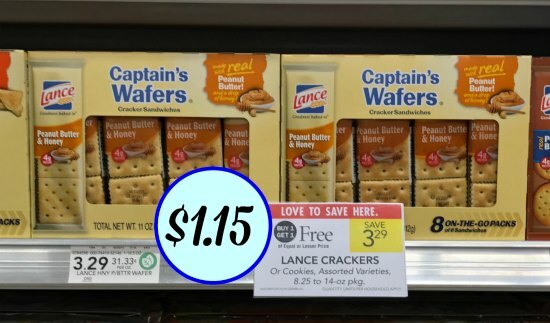 Now is the time to stock up as we have a great deal available at Publix. You’ll find Bertolli® Olive Oil on sale buy one, get one FREE at Publix from 3/9 through 3/15 (3/8 – 3/14 for some). 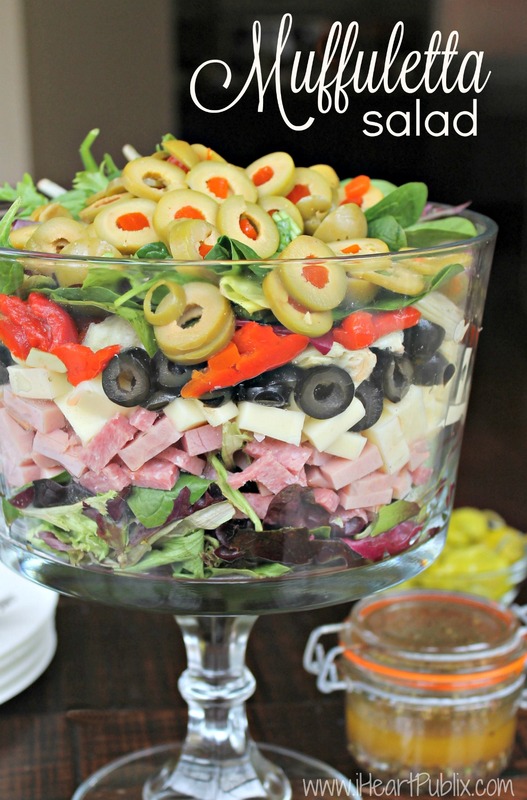 I thought I would share one of my family’s all time favorite salad recipes—Muffuletta Salad. Now we all love a Muffuletta sandwich but when I want to lighten it up a bit, this is how I make everyone happy. There’s no cooking needed and after just a little chopping and a super quick vinaigrette, you can put this on the table in a flash. 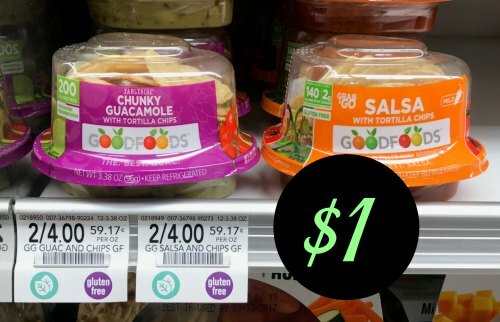 Stop by Publix, grab a few ingredients and take advantage of that Bertolli BOGO. You’ll have a fantastic salad recipe that is sure to be a hit at your house too! Whisk together all the ingredients and set aside until ready to serve. Toss all ingredients together with the prepared vinaigrette and serve immediately. For a pretty presentation you can layer the ingredients and toss with the vinaigrette before serving. For more information and other great recipe ideas, be sure to visit Bertolli® Pinterest page. Try making it yourself! Following is a great recipe, easy too!